Dead Space Aftermath, a new animated film explaining the fate of the first-responder mission to rescue the USG Ishimura, is coming early next year. Set in the year 2509, Dead Space Aftermath will tell the horrifying tale of the survivors of the USG O'Bannon, the first ship sent to rescue the USG Ishimura after it lost contact with Earth. Now the O'Bannon has gone dark too, and only four crew members are left alive. What happened to everyone else, and what dark secrets do their fates conceal? The film will feature several "internationally renowned animation directors," along with the voice talents of Christopher Judge of Stargate SG-1 fame, plus Peter Woodward, Graham McTavish, Ricardo Chavira and Gwendoline Yeo. Dead Space: Downfall producer Joe Goyette and supervising director Mike Disa are back in the saddle for the new film. 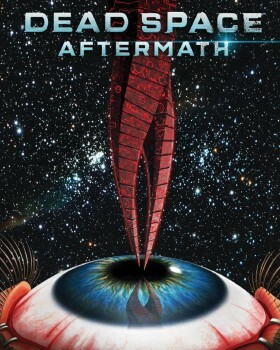 Dead Space Aftermath will be released on January 25, 2011, in DVD and Blu-ray format, with a "pre-book" coming out on December 29. Gamers who like chopping up Necromorphs but aren't over-the-top rabid fans of the franchise may prefer to buy Dead Space 2 instead - it comes out on the same day for the PC, PlayStation 3 and Xbox 360 - and wait for Aftermath to show up on Syfy. It probably won't take long.